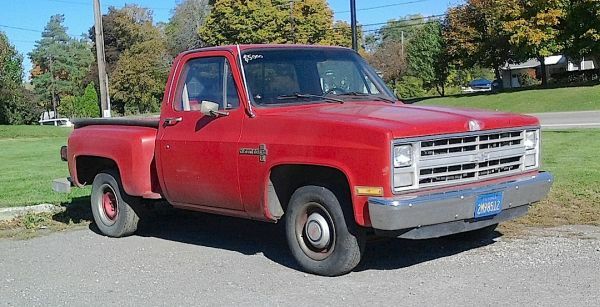 (Welcome to Day One of Pickups Week…) If you were looking for a nice, clean mid-1980s Chevy Stepside pickup, you probably could have done much worse than this red number, wearing California plates and sitting in a Cambria parking lot over the summer. Not the fanciest model, but the Custom Deluxe badges on the fenders at least leave you with a modicum of respectability! Jim Corbran, RRofWNY The post RealRides Of WNY appeared first on Buffalo Cars.